Releasing rituals are a natural for the end of the year so that you can start off the New Year on “good footings.” Here are rituals and candle spells that you can use to cleanse negativity and other “funk” off of you to begin the year anew! First, clean out the bathtub with your general all-purpose bathtub cleanser, then after rinsing thoroughly, fill with warm water and two cups of Epsom Salts. It might be beneficial to take a pre-soak shower to remove the daily dirt, deodorant and hair styling products from your body — just make sure you have a sparking clean tub before soaking. After your soak, which includes immersion of your head and hair, step out, towel dry and dress in clean, soft, comfortable clothing. If you feel like napping after a soak, that is fine, as you are releasing negativiy energy you were carrying as tension and your body is signaling some ‘down time.’ Anointing yourself with a good Protection or Empowerment oil as you rest is a bonus to boost your level of personal power. 2. Create a Letter to Anyone you want out of your life — You may be carrying memories of events between you and others. Time to clean out the closet of your mind, soul, and heart. Construct a letter to those far from you, or purchase a simple school notebook to write a continuous one to all of those who have harmed or hurt you. This inexpensive notepad will eventually be burnt once you are ready to release all of it to the Heavens. A variation of this is to write letters to those people, sending them to the city of last residence — with no particular street address to them. These ‘letters’ will sit in the Dead Letter Box, never to be delivered, yet you have gotten off your chest what you were meaning to say and didn’t at the time. Once you are ready to burn your letters/notebook, go to the barbecue and light these pages and allow them to burn and the smoke to waft to Heaven. I once took someone to the beach and we built a bonfire (she was burning ALL of the ex-boyfriend’s letters and such). The night breeze and the waves crashing were cleansing to her and closed the book on that part of her life. You can add to the burning mass some white sage pieces plucked from your smudge bundle or some myrrh and/or frankincense from your neighborhood botanica/candle shop. Let it all go with the smoke, sending this to the Heavens above. 3. 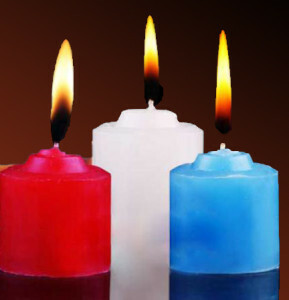 Light one white, one red, and one blue candle for Wisdom, Love and Peace — Pray for all of those who have done you wrong. Why? Because you might not be aware, but they might have had a demon on them prodding them to torment you. They may not realize/believe that they did you wrong. They can’t hurt you now, and ultimately God will take care of things — not on your time but His time. 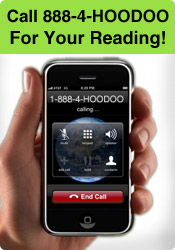 This is especially good if you do not have them in your current circle of contacts.